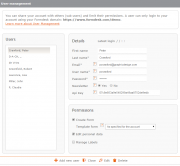 Would you like to give others, such as colleagues or clients, access to your Formdesk account so they can create/modify forms or view (a selection of) the result entries? may use certain functions such as downloading, importing or emailing result entries. 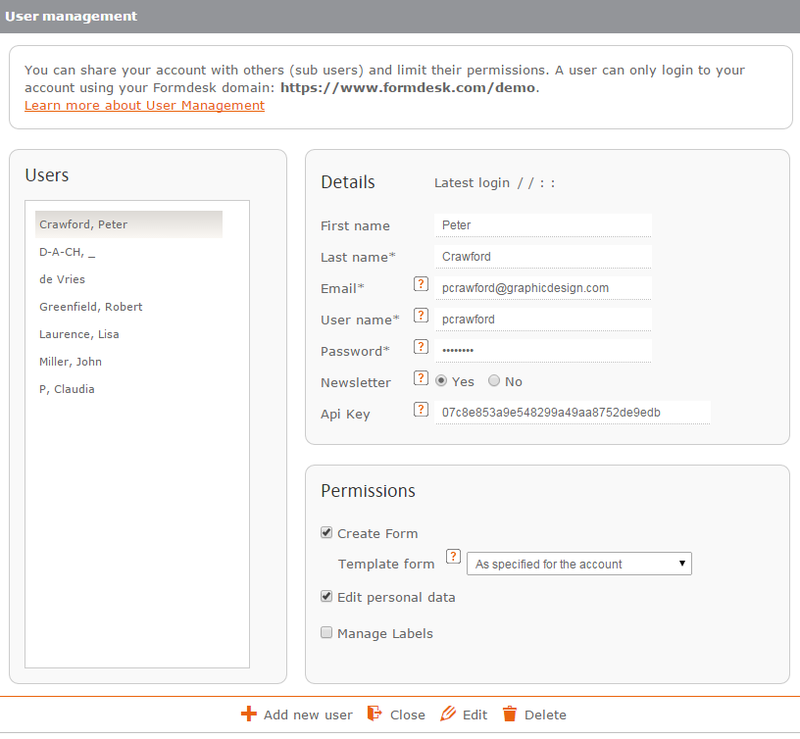 You can assign a template form to a user who is allowed to create forms for a default layout and default settings. 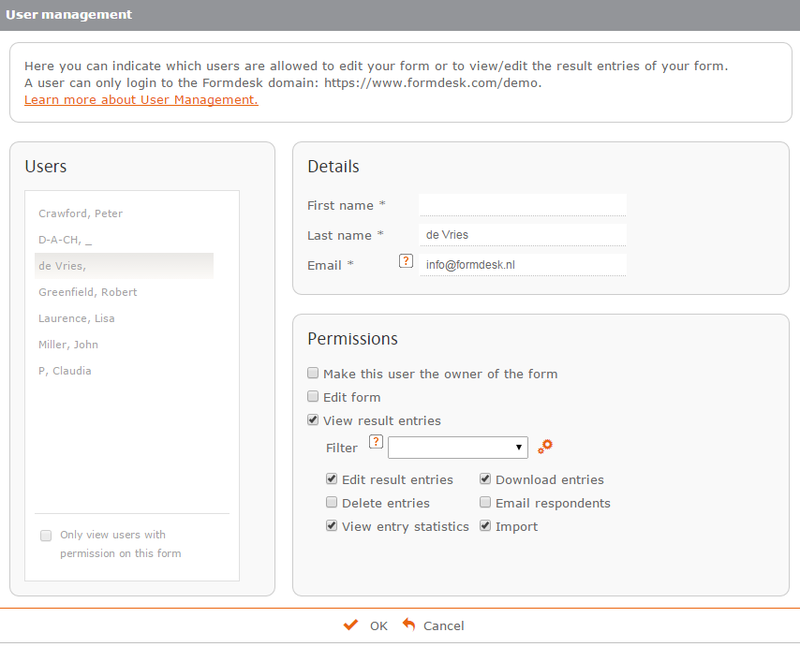 When the user only has access to result entries of a single form, Formdesk will immediately activate the form’s result screen after login. This add-on is included in all business subscriptions and can be purchased for € 99 per year in addition to a standard subscription. If this add-on is not part of your subscription, you can try out its functionality by adding one extra user. If you have a trial account and wish to take full advantage of this feature, we would be happy to activate the feature for you. You can request activation using the ‘Help request’ button in the bottom right corner of the screen from within your Formdesk account.